With Blue Sky Helicopters, organising a helicopter for charter could not be simpler… We own all our aircraft and have three different types to choose from. All you need to do is make contact, advise us of passenger numbers, collection/destination points, and in the case of airwork, your mission objective. As a guide, Newcastle, Bathurst and Nowra are within a one hour flight time (radius) of Sydney Airport. We can of course fly you to any other destination in Australia. For all your general/corporate charter needs and film/photographic requirements, the Bell 206 is the world’s most recognised helicopter. It has set more industry records than any other aircraft in the world and has the best safety record of any jet turbine helicopter in the industry. Powered by a Rolls-Royce Model jet turbine engine the Longranger has seats for up to six passengers plus pilot. With a cruise speed of 110kts (203km/h) and a range of over 300nm (555km) with reserves, our corporate equipped Longranger will fly you and your clients to the destination quickly, in style & in comfort. Due to its stability and versatility the Longranger is also the helicopter of choice for TV, film & photographic industry professionals around the world. The aircraft can easily be fitted with nose/side mounts or a cameraman/photographer can shoot out of the side. Known around the world for its ruggedness, reliability and simplicity, this aircraft has become the most popular jet turbine helicopter of all time. For fast charter and for all your photographic requirements, the MD500 helicopter series are often described as the sports cars of the helicopter world. Our MD500E offers a very stable platform with it’s 5 bladed fully articulated rotor head. 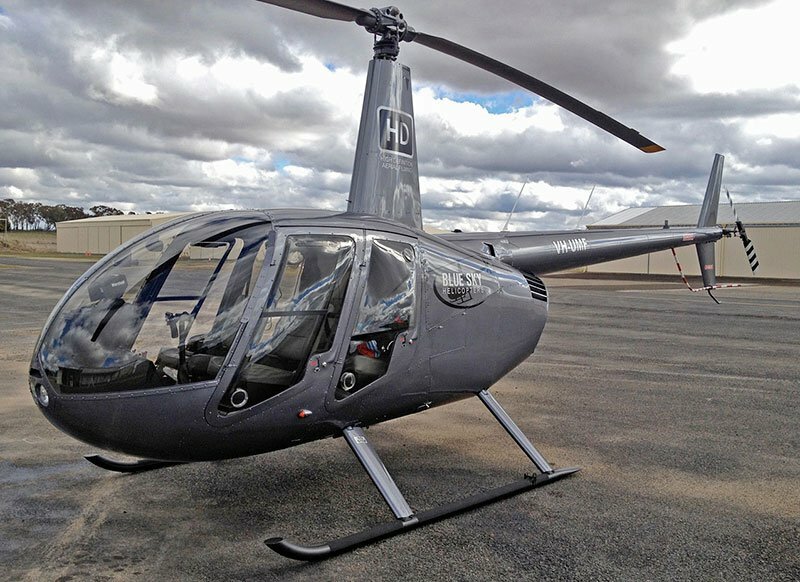 Fitted out with great equipment and an immaculate corporate leather interior we operate the only MD500E in Sydney. Powered by a Rolls-Royce Model jet turbine engine the MD500E has seats for up to four passengers plus pilot. (however, for long distance charter operations, we suggest no more than 3 passengers). 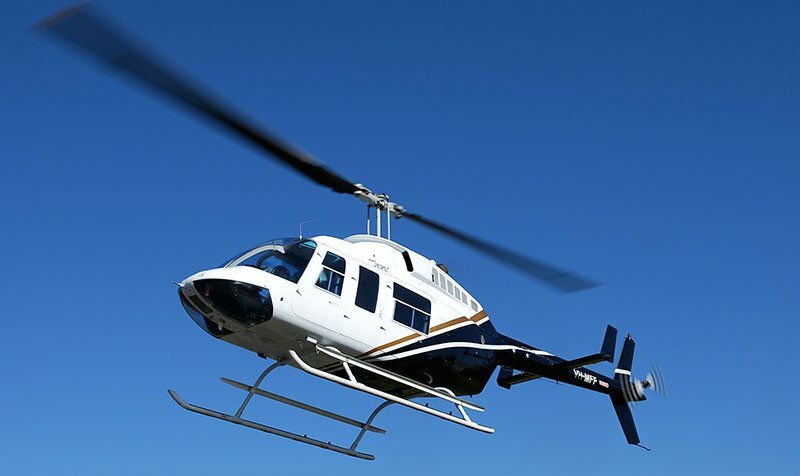 With a cruise speed of 130kts (240km/h) and a range of over 258nm (478km) plus reserves, our corporate equipped MD500E will fly you and your clients to the destination quickly, in style & in comfort. Also available for movies & TV production. Offering an open style cockpit, the visibility from the aircraft is exceptional as each (leather) seat is next to a window, this makes it very popular for passenger charter… Powered by a Lycoming 0-540 engine the Robinson R44 has also become one of the most popular light helicopters of all time. The aircraft is also ideal for photographic (stills) work. Note: Our R44 helicopter was supplied brand new with the now mandatory bladder style fuel tanks. The above rates are for aerial photographic/film work and general charter only, i.e. Point A to B charter or aerial survey… For scenic flights and tours, please click here.